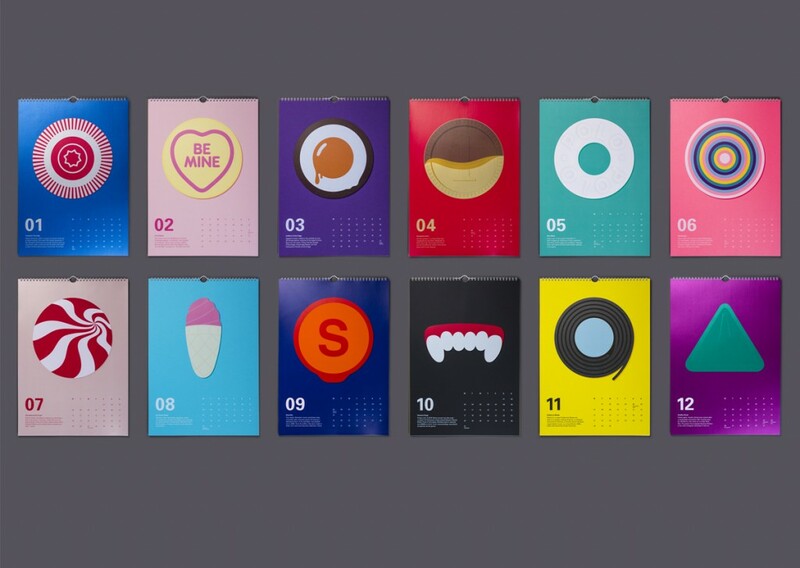 A sumptuous confectionery-themed wall calendar for 2016, created with our friends at Supple Studio. 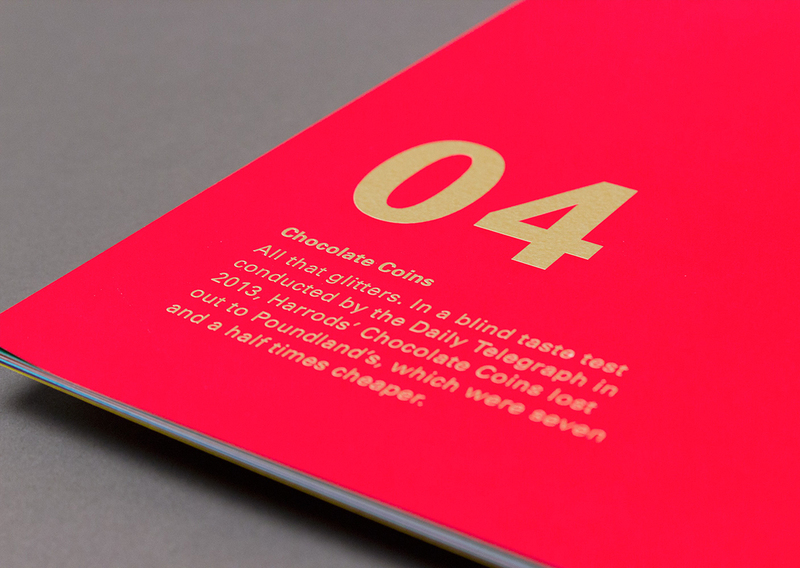 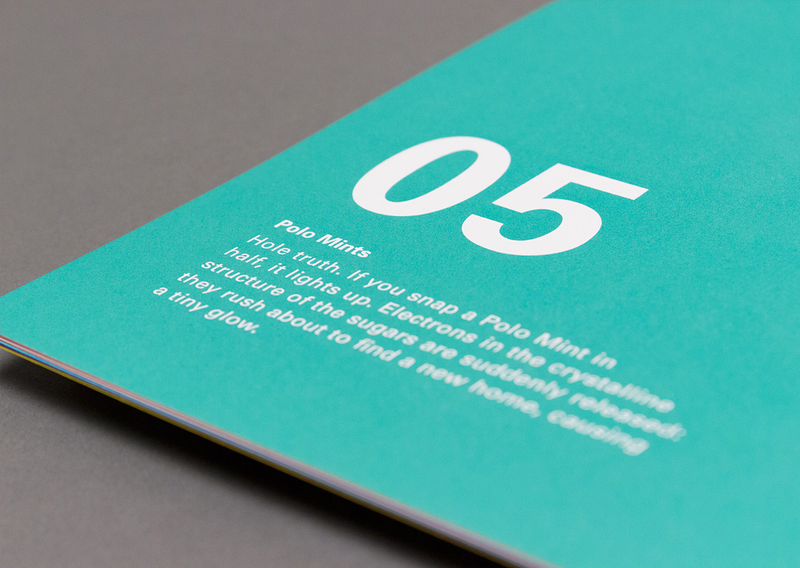 Each month features a relevant sweet, illustrated in a bold, reductive graphic style. 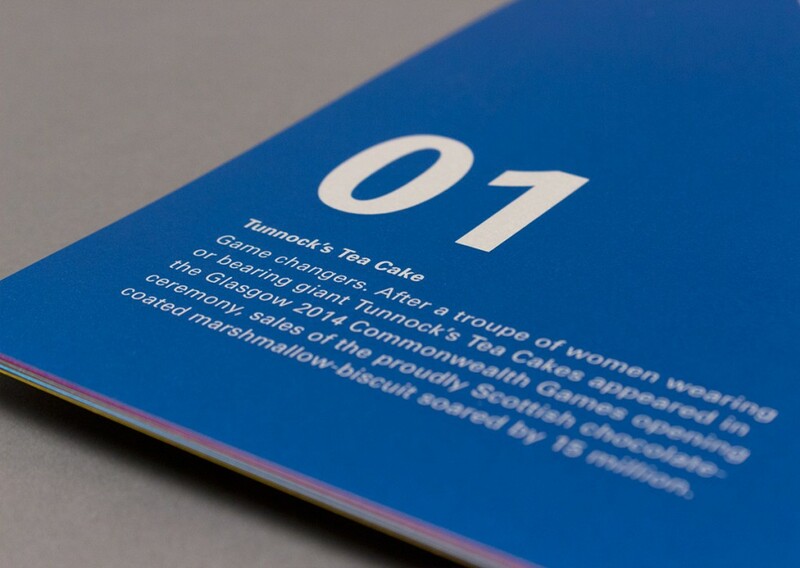 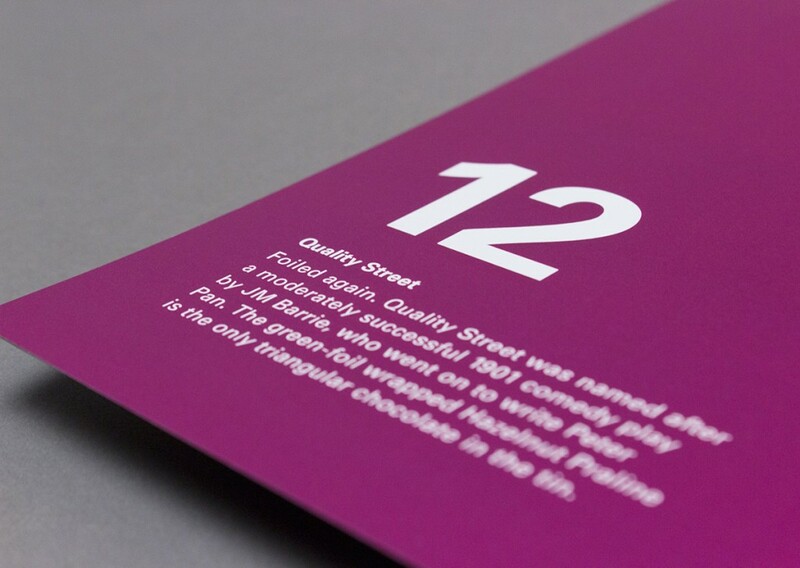 The colourful visuals are accompanied by short snippets of writing, revealing quirky or interesting facts about each sugary morsel. 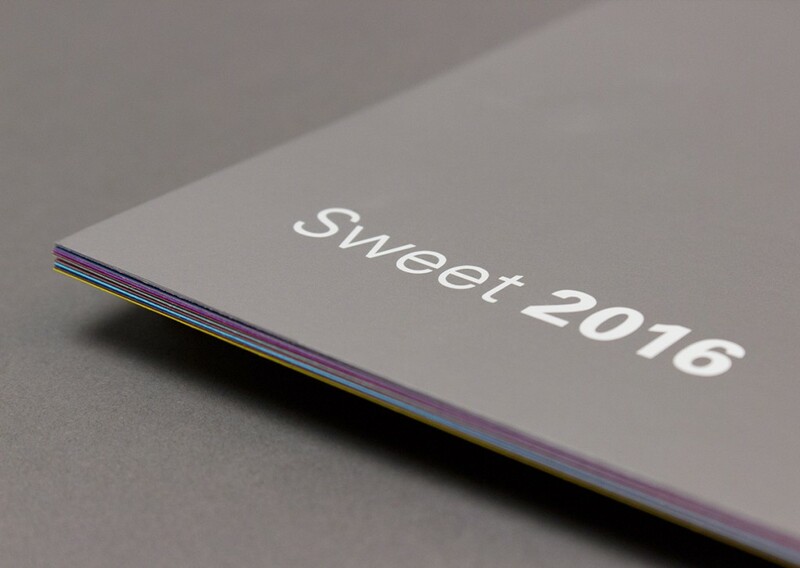 Printed by Kolor Skemes, the Sweet 2016 calendar features different G.F Smith papers, used creatively to accentuate the visual nuances of the 12 featured sweets. 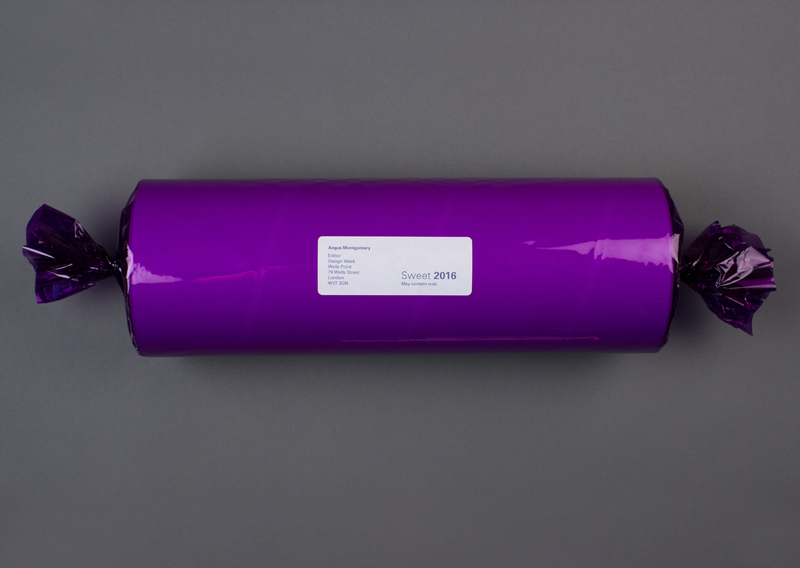 Suitably wrapped in purple cellophane, the A3 calendar was mailed to friends and clients … a less fattening alternative to the real thing.